Collaborations: Collaborations are another key element to Rainier Beach being the vibrant neighborhood we aspire for it to be. 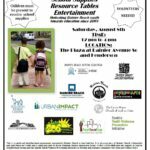 These collaborations are targeted to positively impact the lives of Rainier Beach residents and others who work, play, worship, eat and shop in “RB”. You will continue to be updated on these efforts into 2017. 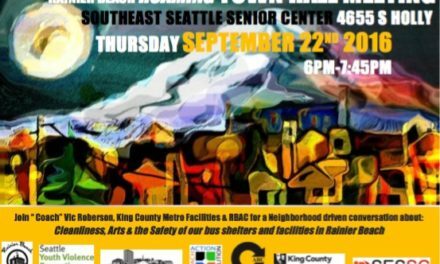 SE Seattle FreedomNet: RBAC is committed to changing the perception of the Rainier Beach neighborhood from the inside out. Our use of social media to contribute to this is a critical part of our work. 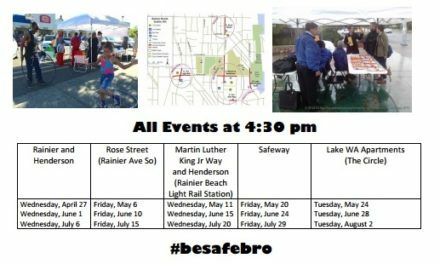 This efforts provides information in real time about what is going on in Rainier Beach and it is much more reliable and accurate than outside media. You too can be a citizen journalist and contribute to showing the real deal in RB. 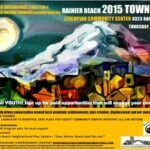 Here is a list of online assets that contribute to a vibrant Rainier Beach. Capacity Building: With the need to always improve, RBAC has invested in capacity building efforts. These investments will ensure RBAC can continue to be responsive to the needs that arise organizationally and in the neighborhood. 2016 has been an important year in the evolution of RBAC. We appreciate your support and interest. We look forward to 2017 with anticipation and excitement. Email us now at rbactioncoalition@gmail.com to get connected. NextCALLING ALL Ideas for small scale improvements to parks or streets in your neighborhood! Weekly Update of the Corner Greeters!